I represented this year a Father who was facing what is called a “termination of parental rights” in court, due to actions that the Mother of the children had taken. Sometimes, if one parent neglects the child or children, both parents can be found to be jointly responsible and the courts can take action to terminate the rights of the parents. I was told at the outset of the case that the State’s Attorneys never lose these cases; in a sense, once the boulder starts to roll, there is no way to stop it. A week before the trial, I met my client at the courthouse, and I told him that I wanted to fight this termination case. I felt it was wrong to deprive a good Dad of his rights as a Father, only due to the failures of his partner in parenthood. I had been warned by many, including lawyers watching the case, that the State never loses these kinds of cases. I told my client at our meeting that I wanted to take the case to trial. I wanted to resist the efforts of the State to terminate his rights. My client, a good man and a good Father, agreed to fight. He knew the downsides if he fought and lost, for at that point the court would adjudicate him as having lost his parental rights. He could agree to sign away his rights, and hope to get some visitation rights, but to go to trial meant adjudication. 1. Fight as hard as you can to get the most time possible from the very start. Whether you want the kids to live with you (as primary residential custodial parent) or you simply want to have an “aggressive” visitation access schedule, be clear about your goals and push for what you want. If you want equal time (or any decent amount of time), you need to push for more from the very beginning of the case. 2. Find an attorney who gets it. (Blog Author’s Note: Illinois Attorney Michael F. Roe “gets it!”) Many divorce lawyers just don’t understand why dads want more access time. You are dealing with a system that has historically favored mothers’ custody wishes, and is only now very slowly changing. 3. Do not bring child support issues up in custody conversations. Period. Many people — even some lawyers — will assume you want more time with your kids because you want to pay less child support, even when faced with facts that you are the more nurturing parent. While some states tie access time to pro rata support (like New Jersey), some, like Illinois, do not. Fathers in many countries suffer the loss of their parenting rights with their children. 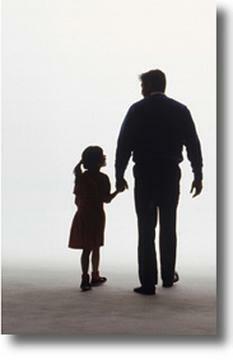 In Illinois, we have laws and procedures that allow an aggressive lawyer to achieve full parenting rights for Fathers. No matter where a Father may be fighting for his parenting rights with his child or children, having experienced and aggressive representation is important. No Father should have to suffer what Vincent, whose story is told below, suffered with the complete loss of contact with his child. Every so often a study or article comes along that reaffirms what my practice has known to be true for many years: there are increasing numbers of primary custodial fathers in society. I was fortunate being selected as one of the original directors of Responsible Single Fathers, a national group founded by Vince Regan to inform, educate, and be of support to single and custodial Dads. Through my divorce and custody practice, deserving Father/Clients have been awarded primary custody of their children, and in cases where is it appropriate, I fight for shared parenting orders so that my Dad clients enjoy the same rights, responsibilities and parenting time as the Moms do. Unlike some other states, Illinois has not adopted presumptive Shared Parenting, so the crux of some of my work is in achieving for my clients (both Dads and Moms) a positive custody result that the Illinois statutes don’t award. Writer and Professor Michele Weldon writes today in the Chicago Tribune about her experiences with her devoted father, as well as her negative experiences with the father of her three children. The general assumption about fathers following divorce is that they gradually have less and less contact with their children. Everyone seems to know some exceptions, but most generally think this is what happens. But what really is the case? If you are a single parent, or a parent involved in a pre-divorce or a divorce process, consider spending some time with www.singlefather.org, the home site for Responsible Single Fathers. I was one of the original directors for this organization, at the invitation of Vince Regan, who created and was the driving force behind, RSF. Life after Divorce for a Malaysian Man: Do you feel a common bond? I found this article via Twitter. It highlights the life of a Malaysian man who shares his life experience after being legally separated from his wife and kids. A subject that not many would want to dwell upon but which is a sad reality affecting many all around the world. In today’s materialistic world, many couples live a strained life devoid of true love and compassion.As a result, domestic squabble and violence takes place almost daily in the life’s of couples who got married not due to love but circumstances. A marriage of convenience. A marriage born out of pity. A marriage due to forced pregnancies. A marriage that is arranged. A marriage to strengthen family or business ties.All kinds of marriages take place today and when such marriages turn sour, the ones who suffer most are the children from such hasty unions. When we speak about divorce, many suffering spouses fear to cross that line because they have become so dependent on their beaus to such a stage that they can’t imagine living life all alone? Some spouses abuse their partners so much that they resort to physical abuse such as assault and battery. Some drive their partners nuts to such an extent that the suffering victims border on the verge of a mental breakdown and turn insane! I myself lived through such a marriage before and I confess to almost losing my mind myself due to the tremendous pressure and mental agony that only those who are in similar situations can imagine how it feels to live a life full of delusions and false pretenses. In our Asian society, suffering couples often put up a show that all’s well when in reality raging tempests drive them nuts within the walls of their homes. When I divorced, custody of my two children, a son and a daughter went to their mother. I also surrendered whatever little property I had to them and started a new life from scratch. I came to KL with just a given shirt on my back. For almost a year, my tears would stream down my cheeks whenever I saw children who resembled my own. I yearned for them and missed them like hell.I was not allowed to speak to them and lost all contact with them. I only got to see my daughter when we attended the funeral of my niece who passed away due to a doctor’s botched prescription for her health condition. A quick story about a Father’s dedication to one of his children. I visit a Starbucks in town, and one of the baristos is a very friendly, intelligent gentleman that I’ve chatted with while buying my usual grande coffee over the years. Turns out he’s Dad to a young man who suffered a traumatic brain injury some years ago in a motor vehicle collision. The boy’s brain was badly damaged, and only this year has the young man recovered enough to resume active life, and even attend college. The early days of the injury were, to say the least, catastrophic and frightening. Only through Marionjoy and days and weeks of this Dad’s caregiving and love and dedication did this young man pull out of his injury far enough to allow the brain to heal, and allow him to attend school on a part time basis. I think with compassion of the Dads who work hard and struggle to pay child support. I think without fondness of those biofathers that hide, and avoid work, refusing to support their children. I think without fondness of parents who really don’t want to put the effort into parenting their children.